7/24 Hrs professional support team,you will get answers of some common questions. External drives, such as USB flash drives and external hard drives, are designed with portability in mind. They should be easy to use anywhere at anytime. However, in some cases, when you connect your external drive to a Windows PC, the external drive may not get recognized. This problem could be caused by various reasons: filesystem not supported, malfunctioning USB ports, partitions issues, or the worst case, dead drives. Open the Disk Management tool. To do so, press Windows Key + R, type diskmgmt.msc into the Run dialog, and press Enter. You should be able to see your external drive listed in the Disk Management window, even if it doesn’t appear in your Computer window. Maybe the external drive doesn’t contain any partitions or doesn’t have any filesystem. They will be shown as unallocated space in Disk Management window. You can refer to section 3 to learn how to recover data on unallocated drive space. If Windows doesn’t detect your drive at all, it is likely that there are some hardware issues with the USB port or your drive. To diagnose the problem, unplug the drive from your USB port and try plugging it into another USB port on your computer. If you’ve plugged the drive into a USB hub, try connecting it to the computer directly instead. If it is an external hard drive, try the back-end USB ports on your desktop PC because the front USB ports on some computer cases don’t supply enough power for an external hard drive to work properly. If you have another computer at your disposal, test the external drive on that computer just to make sure. If you don’t have another computer to experiment with, we can check the potential driver problem in Device Manager. To open it, press Windows Key + R, type “devmgmt.msc” into the Run dialog, and press Enter. Find your eternal drive under Disk drives. If there is a yellow exclamation mark, select Properties, and look at the error message. The error message may point the way for you. You can choose to update driver, roll back driver, or to use the system restore to fix the driver problems. If you see that the drive in your Disk Management is unpartitioned and is shown as “unallocated”, you’ll want to create a new partition on it so that Windows and other operating systems can recognize and use it. Before that, if you have files stored on that drive, you’ll need to perform data recovery to save these data. Step 1. 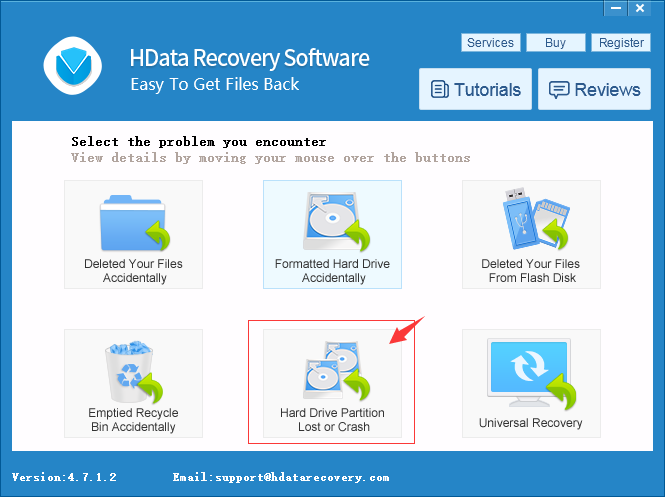 To recover data from unallocated space, install and launch H Data Recovery Software and select the Hard Drive Partition module. Step 2. Select the hard drive which contains the unallocated space. Click Next to proceed with the scan. The scanning process may take a while as the software will locate and collect every file that is stored in the lost partition. Step 3. When the scanning is complete, you can choose from the listed files and save them to your desired safe destination. You can use the filter and search bar to quickly pin down the files you want. Now that you have your data back, you can partition the drive and format it.Right-click inside the unallocated space, select New Simple Volume, and go through the wizard to create a new partition. Make sure a drive letter is assigned to the drive so that it can be accessed. If after the partitioning, your drive still cannot be recognized, it may be due to the wrong filesystem. Windows cannot read ext4 filesystem for Linux or HFS Plus filesystem for Mac. Reformat the drive with NTFS file system or FAT32 filesystem for Windows instead. 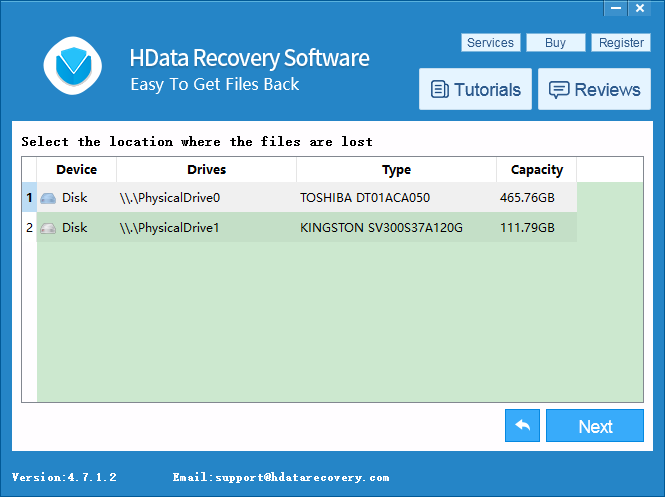 The world's most powerful data recovery software with over 60000+ happy customers, helps retrieve your lost files like videos, photos, documents, etc. from all kinds of storage devices.